After Bruce Lee’s demise, the martial art media made Jeet Kune Do (JKD) look like some mysterious martial art with only a handful of legitimate instructors to teach it. People (outside of his students) only saw Bruce Lee in the movies or on TV. When they saw his fight scenes they’d say, “I practice or teach the same exact thing or that looks like our style” not even realizing he was only doing stunt fighting or theatrical Jeet Kune Do and for the most part, not actually doing what his actual JKD consists of! But what they did not know was that Bruce Lee’s innovative way of combat is a philosophy and a concept. It was a martial art that he was evolving with no set techniques or training patterns to follow…a style with no style-a way with no way. A pattern-less pattern that is to be felt, to be reacted to spontaneously through the training of neurological development. Not just memorized techniques in hoping to remember to pull them off if something were to occur in a self defense situation. Although there is a basic format to understand so you can achieve the ability of kinesthetic perception utilizing those “memorized movements.” And although it is a controversial to say, but just like Bruce Lee wanted, it continues to evolve still today. I can see how that may have been hard to comprehend this for a lot of people, especially between the 1950’s – 80’s many people chose a martial art loaded with many forms and techniques to memorize with instructors who did not understanding the real translation of their forms or kata’s. And then again there were many others who were not involved in the actual JKD lineage, figured they would throw a bunch of different martial arts together that fit the different fighting ranges-pick out the techniques that fit the practitioner, then call it Jeet Kune Do. Of course, in their defense, it is good to be an all-around martial artist and research the different ranges as well as other martial arts. In fact, many people do just that, especially under the growing popularity of mixed martial art tournaments like the Ultimate Fighting Championship. We all know now a days, understanding different martial arts and their distinct ranges of combat is good knowledge to have, but that does not mean they have the ingredients genuine Jeet Kune Do consists of. It is a good idea to grasp the evolution of Jun Fan Gung Fu training first the way Bruce Lee taught it to his students to get a good base toward whatever direction an individual would like to go. In it are a lot of good ideas in training offensive and defensive footwork, boxing to trapping, intercepting, and even trapping to grappling. I personally feel that the understanding of all of that is a great foundation for awareness of how to flow with the evolution of Jeet Kune Do. It is off of this where you can start to hack away at what is called the inessentials to find what works best for you as an individual. But as I said, know the evolution so you can teach how to find what works best for the next generation of JKD students and not just give them YOUR opinion of what works and what doesn’t work. We are all different and have different attributes! Much of the original format was designed to counter the linear attacks and rigid blocking methods from the karate styles of that time. But now a days, there are many more systems made available to the public now than there was back then. The JKD practitioner or a practitioner of any style needs to explore these different martial art styles to improve on the different ranges of combat. Nobody is saying that Bruce Lee’s concept is not good enough. It definitely is. But remember, Sigung Bruce did not even want to give his fighting method a name. He figured that in naming it he would be limiting it, creating a stagnant system that would end there with no progression to future undertakings. There are an awful lot of scenarios one can run into in self defense situations; far to many for one opinion to cover. Jeet Kune Do is always evolving. Many JKD players out of the Inosanto, Hartsell and Vunak camps especially, are experimenting with a variety of martial arts such as Kali, Escrima, Silat, Thai Boxing, Savate, Brazilian Jiu Jitsu, Capoeira etc. 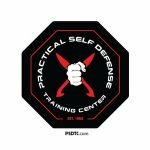 By training in theses systems, a better understanding of-weapon use and defense-power training-finesse-and ground fighting can be achieved as well as more lines of attack to get you used to defending. That could only make you a better all around martial artist. So, what the big political controversy is, I don’t understand. I feel that in the recent past controversies surrounding Jeet Kune Do was mostly when we would see articles in the martial arts magazines with titles saying things like; Original VS. Concepts. The underlying problem was that the people who considered themselves to be Original JKD practitioners saw that the “Concepts” people were “just” mixing Kali, Silat, Thai -Boxing, along with a little grappling with minimal Wing Chun knowledge and calling it JKD. The “original crowd felt some of the “Concepts people” did not know about or acknowledge the original format. So, the original JKD people thought that the concepts people missed the first boat, while the concepts people thought the original practitioners missed the last boat because they wanted to stick to a certain era of Bruce Lee’s JKD evolution. We all should know by now that the intelligent thing to do is to continue learning throughout life in anything and everything. So by studying different martial arts outside of Bruce Lee’s original ideas only helps us all to understand how we can defend ourselves against them. As I said before, the more lines of attack you can defend yourself against, the more effective you will be if it comes down to you having to defend yourself in a real street-fighting situation. Isn’t that one of the major reasons why we really learn the science of fighting in the first place? I will continue to research as many martial arts as I could, so whoever works out at my school will receive the best training in overall self-defense. No matter what the situation, my students will be able to defend themselves in any given circumstances. My study in martial arts will go on till the day I die! 1) Jun Fan Gung Fu, the different era’s of Bruce Lee’s research. 2) Thai Boxing (Muay Thai) for a different view, training method and defenses another style uses. 3) Brazilian Jiu-Jitsu, Shooto, Judo, Sombo and many South East Asian grappling methods are used now a days (especially at the PSDTC) such as Silat, Dumog and kun Tao tactics fit perfectly to enhance the fourth range of Jeet Kune Do and to make it a complete self defense oriented fighting system. The grappling range practiced by many Jeet Kune Do people now a days in very advanced in comparison to what Bruce Lee had put together during his developmental years. He died to early to see what he would have accomplished. But, debatable as it may be, Bruce Lee’s ideas in all probability, would have been very similar to the way it is taught now through the lineage of Jeet Kune Do players with Inosanto Lineage. Kali / Escrima / Arnis – (with and without weapons – Pangkamut, Panantukin, Pananjakman, and Dumog) are taught as a separate system but recommended for a weapon base understanding for a complete all around self defense background. Filipino Kun Tao – if a student decides to cross train in this class as well, to get a different view of how another true war-like martial art system operates.